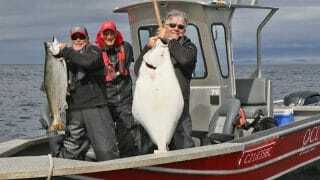 It’s “Special Combo” fishing at QCL these days! The return of more southerly weather has sent many QCL anglers offshore to enjoy a totally mixed bag of fishing adventures. While we’re still finding some nice Chinooks inshore, the angling opportunities found out in water depths over 200 feet are amazing. We’ve put quite a lot of effort into mapping these offshore fishing grounds in recent years and we’re certainly seeing the results. We’re blessed with a huge selection of underwater structure out there. 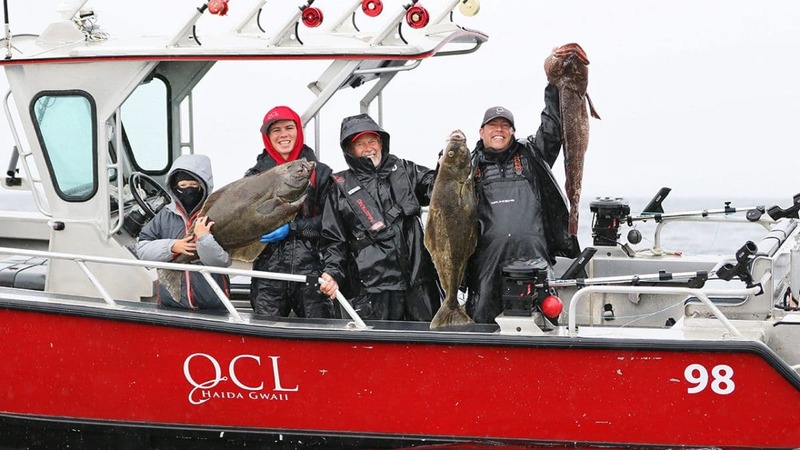 We’ve discovered that they it not only holds traditional bottom fish like halibut and lingcod, but tends to help anglers target on the migrating schools of salmon species as well. 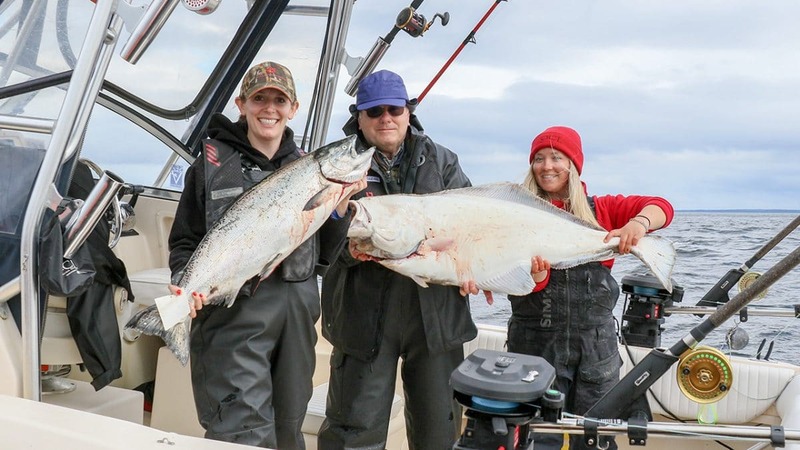 Underwater “hills and valleys” provide reference points that we use in trolling at a range of depths – generally from 50 to 120 feet down – and QCL anglers are finding all 5 species of salmon. 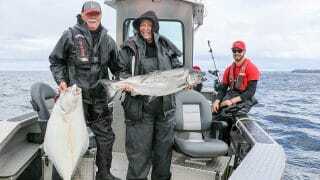 The traditional target fish for our offshore trolling has been coho but down a little deeper we’re getting into beautiful 15-25 pound Chinooks as well. And while we’re out there, it’s so easy to just take a little break from trolling and drop a jig down on one of these hilltops for nice halibut, rockfish and lingcod.